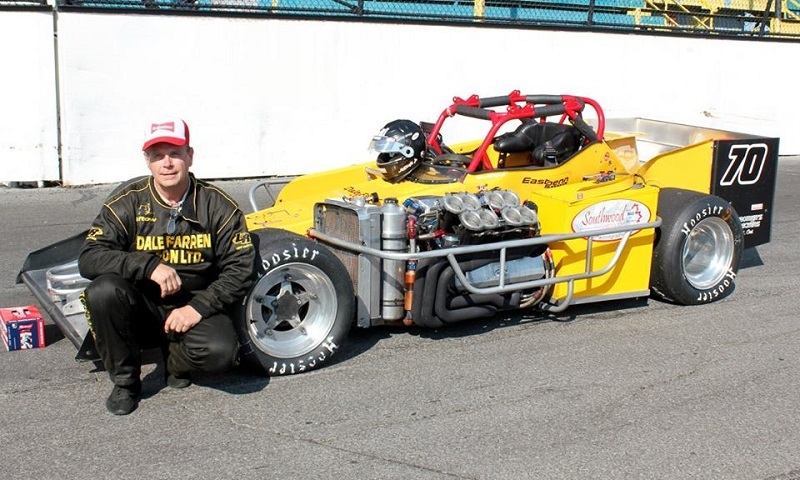 OSWEGO, N.Y. — Brampton, Ontario’s Dave McKnight has been as busy as any supermodified driver in the country over the past four years. McKnight has spent that time with Morton Motorsports, traveling to a variety of ISMA, MSA, and Oswego Speedway races, and approaching their fifth season together, McKnight and team owner Gary Morton are ready as ever to right the ship following a challenging 2017 campaign. Obviously, McKnight knows how to get around. He’s the 2001 ISMA champion and a winner with the series 18 times over. He opened up last year with a third place finish in the Jack Murphy Memorial 60, followed by a runner-up effort in ISMA’s return to Lancaster Speedway, narrowly missing out on a huge win. But little did McKnight know that the remainder of the season would be a roller coaster. That roller coaster included losing at least four engines, beginning with what was only ISMA’s third race of the season at Stafford Speedway. The driver of the No. 70 was leading the points when the engine troubles started to begin. As difficult as McKnight’s year last season may have been, he and Morton like to ‘old school’ it. Their ‘never quit’ attitude allowed the Liftow Toyota sponsored car to hit the track for nearly every event the two picked out prior to the start of the season. Despite further engine casualties to set the team back, the two persevered and were able to at least finish out the season, despite the tremendous obstacles. McKnight has been to victory lane quite a bit in a supermodified — over 30 times, to be exact — but he’d like to add some bigger accomplishments to his list while driving for Morton. The Canadian pair continues to search for their first ‘substantial’ win together, and that is something that Dave hopes to get done this season. It’s all about learning and growing as a team. There’s no question that McKnight has been a Classic contender before. Of the substantial victories Gary and Dave have their eyes on, the $15,000 to win Budweiser International Classic 200 is certainly at the top of that list. This time, McKnight wants to finish what he nearly accomplished with Syrell Racing several years earlier.